Shark left early before 6am to catch a flight as he is working in Mexico this week. Deveen and me headed back to the marina to tidy up Gracie and do the laundry. They have covered marina sheds here which are the first we have seen. We now know why they cover marina slips here. We thought the weather forecast was not good today but we weren’t expecting snow, but that’s what we got. 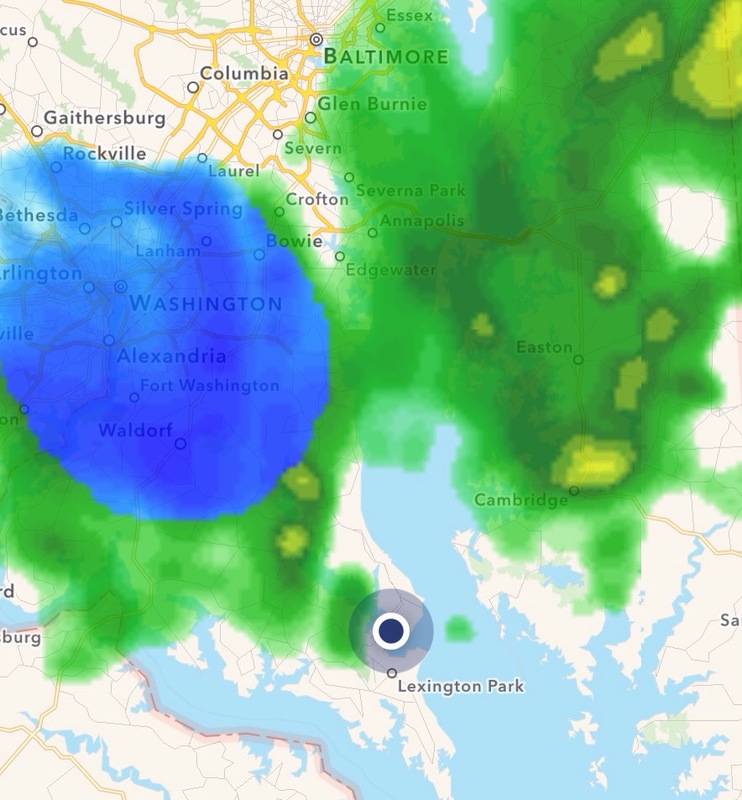 The blue in the weather radar screen snap below is snow and our position is bottom centre! 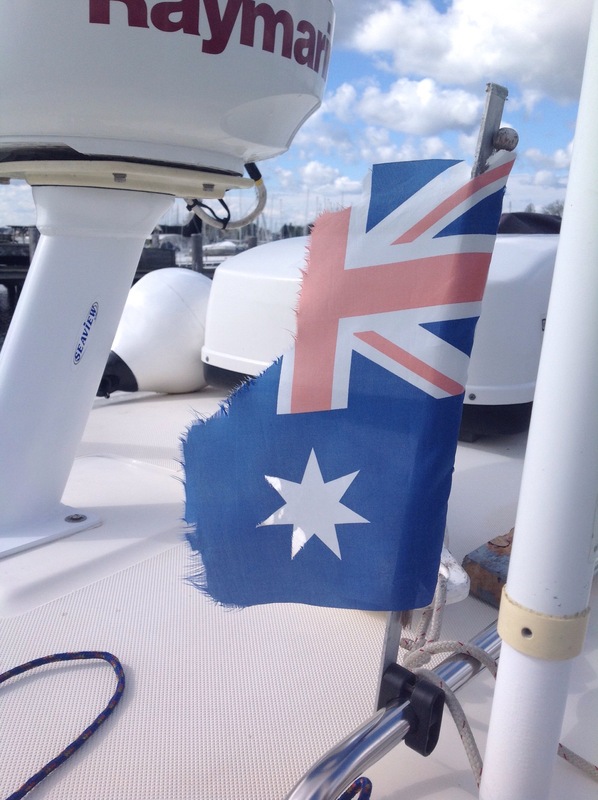 It must have blown hard yesterday crossing the Chesapeake because our Australian flag is shredded. I replaced it and the old one can adorn the bar at home. This area of the Chesapeake is where the legend of Pocohontas and Captain Smith is set. I have been reading James A. Michener’s novel Chesapeake to get a feeling for the history of the place. Pocohontas saved Captain Smith’s life by declaring her love for him as the Indian warriors were going to kill him.